Read our full Casino.com review and inform yourself about what to expect from this operator as a Canadian player. We will offer our own opinion about the games offer, promos and bonuses, mobile app, and other. We hope that this review will help you get all the necessary information about this casino website and the way it works. 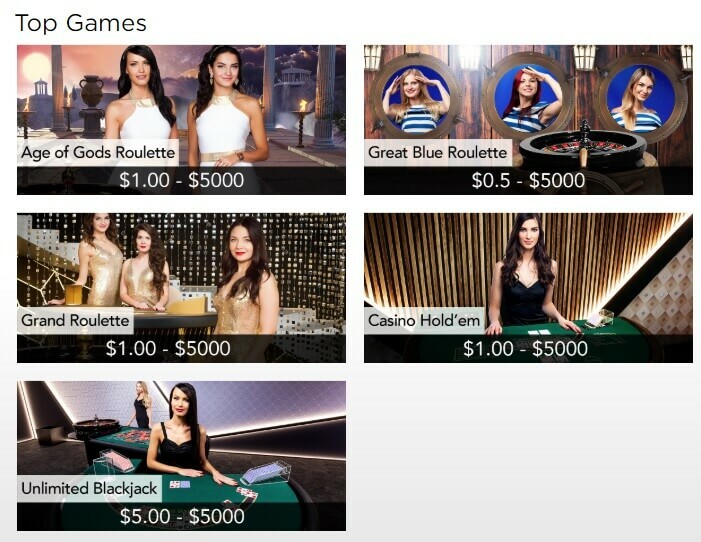 Casino.com has a nice welcome bonus for its new customers. Once you make an account, you will get 100% on your first deposit of up to $400. However, that’s not all. You will also receive 200 free spins for slot games. You can use 20 free spins right after registering, and you will even get an additional 180 free spins once your first deposit goes through. The minimum deposit is $20, and there are 20x wagering requirements included. The welcome package is very nice when compared to other websites, so it gets a good grade in our Casino.com Canada review. Caisno.com have a great mix of games in their offer. Of course, there are many slots you can play here; currently a little over 200 titles with some of them including huge jackpots. This number is considered medium-sized when compared to some other online casino out there, but it’s still a high number. As far as the table games go, you can enjoy almost 50 games which include different variations of roulette, blackjack, baccarat, poker, craps, and other. There is also a live dealer section with some of these games as well. There are also scratch cards, and although there is no bingo section, it’s still a lot you can choose from. Apart from the main welcome bonus, we decided to talk about other promotion in our Casino.com Canada review as well. Golden Hour is worth mentioning without a doubt, and it involves playing roulette games on the website every weekend from 8 PM to midnight. You need to wager $50 on any roulette game during this time, and you will receive 5 Golden Chips you can use for several games. There is also a Live Casino Cashback which will grant you 50% cashback on any live casino game up to $10. This offer is only limited to Saturdays and Sundays. Monthly Madness gives each player 100 free spins after depositing $100 on every 1st of the month. There are also other time-limited promos you can use on the website occasionally, as well as rewards for referring a friend, acquiring a VIP status, etc. This operator is powered by a reputable software developer called Playtech, which is known for producing high-quality games with amazing graphics. You can easily start-up any of the games on the website from your browser, whether you are using a PC or a Mac. If you want to play games on Casino.com with your mobile phone, you can quickly do so by going to a mobile-friendly website on your device. There is also an app, which supports iOS, Android, Windows, and Blackberry phones. All of this deserves a top grade in our Casino.com review. The minimum deposits are set at $20, and the maximum withdrawal limit is $15.000 per month. There are no additional fees you need to pay for depositing and withdrawing. The only thing we found disappointing in our Casino.com review is the fact that the Live Chat support is not available unless you have an account. So if you have any questions regarding your registration, you will have to contact the operator via email and typically wait for several hours to get a response. The toll-free number is only for UK customers, but there is a free-of-charge option for international players as well. The table below will conclude our Casino.com review. In all fairness, this operator is pretty good and can be considered one of the better online casinos. It has a nice range of games – live casino included – it is backed by a reputable software, and it seems safe and reliable. There are many promotions available and a lot of payment methods you can use to move money to or from your player’s account. The customer support could be better, but you can always try to get your questions answered in the FAQ section. The welcome bonus consists of 100% on your first deposit up to $400 and 200 free spins. To obtain it, you only need create an account and make a minimum deposit of $20. To get the best experience of playing at this operator, use our Casino.com bonus code when registering.